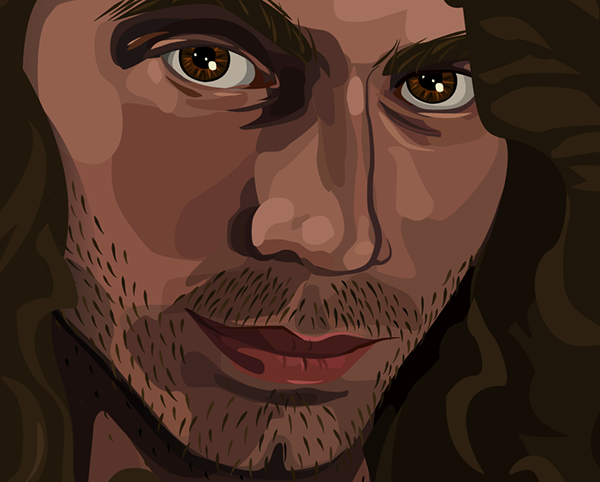 Face detail. Baalhano is one of those guys who always has a six o'clock shadow. 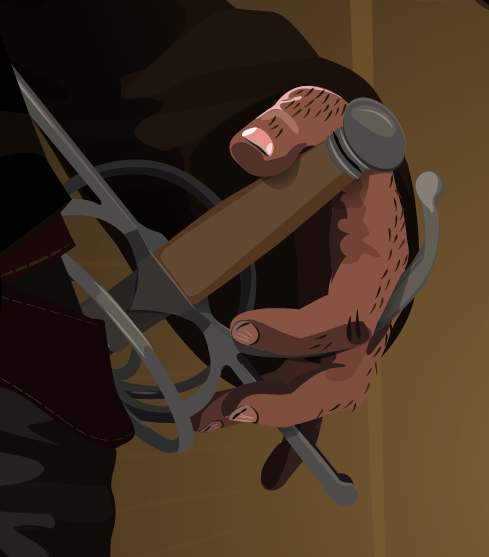 Rapier hilt detail. He's definitely a dirt-under-the-nails kind of guy. Locket detail. He wears his sister's locket, and it's gotten tarnished and faded in the years since she died. Boot detail. 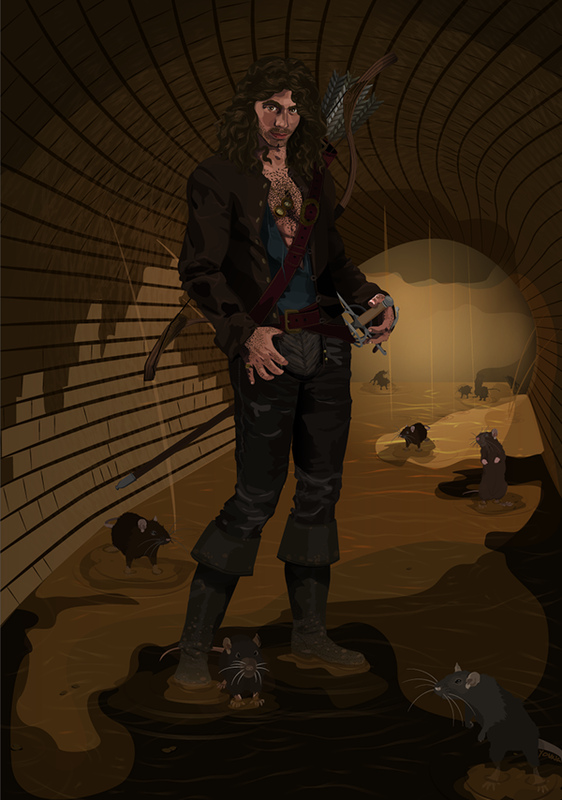 Being wererats, Baalhano's family makes its home in the sewers beneath the city. 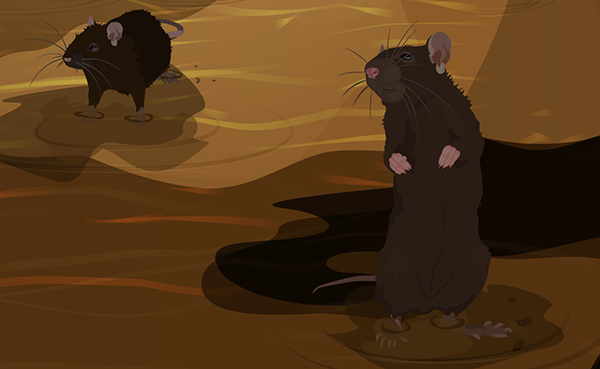 Thus all the rats, sewer crud, and other nasty stuff. 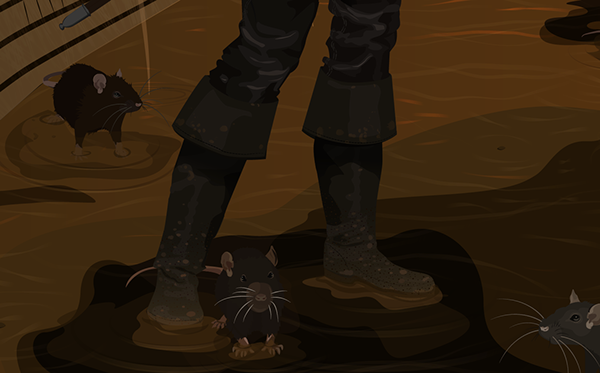 Rat detail: I'm not sure if these are regular rats or family members in rat form. Fletching detail. Baalhano is an archer, so I wanted him to have some arrows. 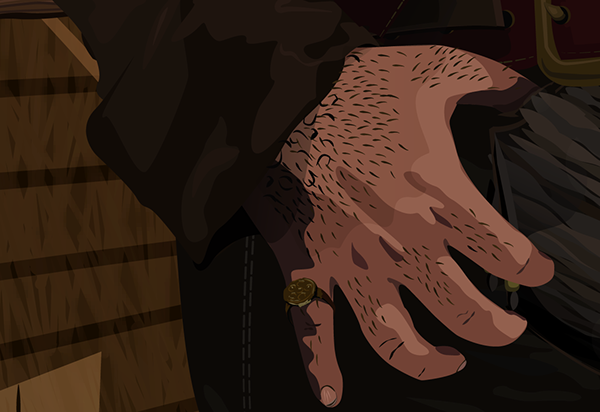 Hand detail. Wererats are hairy, so I made sure to pay a lot of attention to the individual hairs wherever I could. 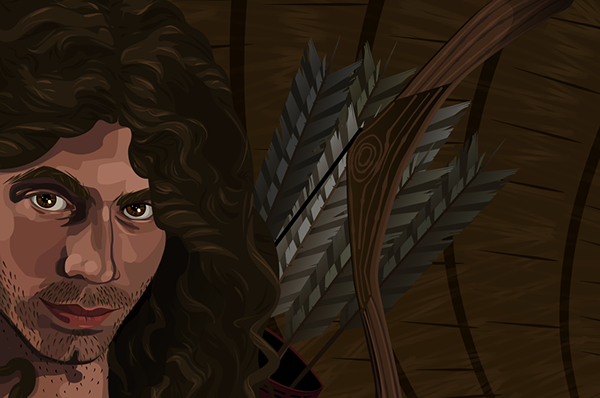 Character portrait of an assassin character from Fasseke's Free Company.